New Delhi: Venting his anger at missing out on the Arjuna award yet again, Indian tennis player Rohan Bopanna on Saturday lambasted AITA for not nominating him within the deadline but the Federation said there was no point sending his application since he did not meet the requisite criteria. AITA had chosen Saketh Myneni, winner of two medals at the 2014 Incheon Asian Games, for nomination and the awards selection committee stuck to the deadline. 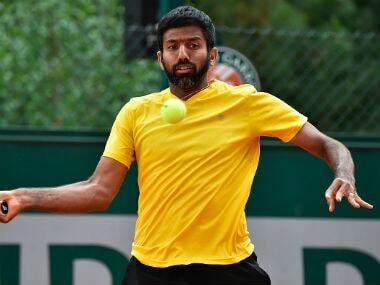 In the past, Bopanna has been nominated several times but his application has always been rejected. "We professional tennis players put in a lot to bring laurels to our country. And no one could question otherwise. However, it is when the system (the Tennis Association in this case) functions sloppily that is not only disrespectful but also robs one of the hope of a deserving acknowledgment," Bopanna said in a scathing statement. "I am calling out to the lack of professionalism and efficiency by AITA for not sending my nomination for the Arjuna Award before the deadline. I have witnessed many such excuses for the past decade (while I was eligible and my record didn't falter) and then too, have never stood for it." However, the All India Tennis Association (AITA) Secretary General Hironmoy Chatterjee said they had a reason for not sending his application this year. "AITA did not send Rohan Bopanna's application for Arjuna award this year since his application was getting rejected all these years because he has not won any medals for the country at the Asian Games," Chatterjee told PTI from Cambodia, where he reached after attending the International Tennis Federation AGM in Vietnam. "We knew why it was being rejected all the time." Asked why AITA decided to send his entry in June, Chatterjee claimed, "I took a chance since it was a Grand Slam. It's like winning a world championship. So, we thought let's send it now." Points are given for winning medals at the World Championship/World Cup, Asian Games, Commonwealth Games, Asian Championships (biennial) and Commonwealth championships (biennial) while evaluating the applications by the committee. Bopanna had skipped the Incheon Asian Games along with Somdev Devvarman and veteran Leander Paes as the Coorgi had points to defend on the professional tour. AITA had allowed all senior players to miss the Games even though Sania Mirza decided to turn up for country after initially expressing her wish to skip the continental event. Myneni had won the mixed doubles gold with Sania. The AITA official said he understands Bopanna's frustration. "I do understand Rohan is disappointed for not getting the award, but it was because he did not meet the criteria for the award in 2016. He should see the criteria before making any comment," he said. 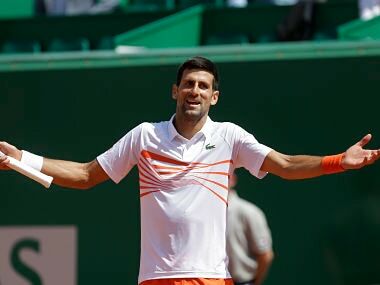 Chatterjee said winning the Grand Slam title at Roland Garros makes him eligible for next year and they will certainly nominate him. "We do feel he now meets the criteria after winning the mixed doubles of the French Open. 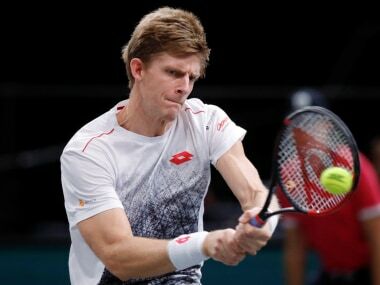 AITA will again try for him next year," he said. The selection committee considered performances between January 2013 and December 2016 and Bopanna has achieved some tremendous results in this period but only on the Pro Circuit, not while representing India in a multi-disciplinary events. 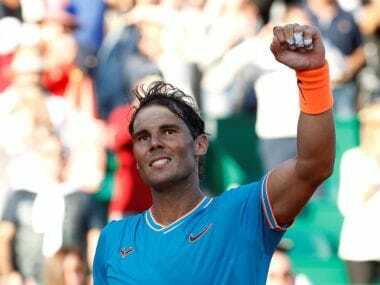 He reached a career-high rank of three in the world in July 2013 and bagged nine ATP titles, including two Master series (Madrid, 2015 and Monte Carlo, 2017). He finished fourth at the Rio Olympic Games with Sania Mirza in the mixed doubles and that could have given some weightage to his nomination had AITA sent his application. Compared to Bopanna, Myneni may not have been very successful on the Tour but has logged enough points for his medal-winning performances at Incheon Games. Bopanna also chose to congratulate Myneni. "I want to take this platform to congratulate Saketh Myneni on receiving this award. I couldn't be more proud as I have seen him grow into the player and the man he is today," Bopanna mentioned in his statement.